CrossFit Black Tusk in Edmonton is a gym dedicated to the health and fitness community. Located on the vibrant 124th street corridor just west of Downtown Edmonton, our gym offers CrossFit fundamentals, group classes, seminars and personal training. 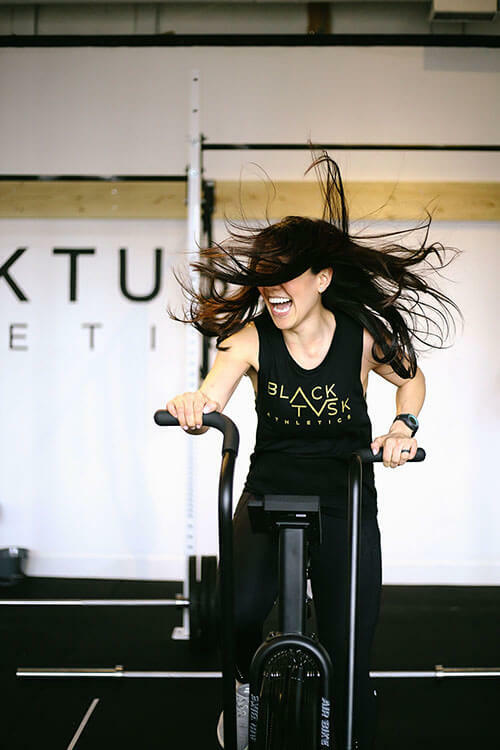 Located in the heart of Edmonton’s 124 street corridor, Black Tusk Athletics was built to create a community of like-minded people in our boutique studio. It is our belief that healthy people are happy people. To us, health is not limited to, nor is it defined by solely working out. We believe that whole health encompasses a whole lot more, including healthy eating habits, proper nutrition, adequate rest, and an understanding of how your body works. We believe that when we push ourselves out of our comfort zones, we grow and experience improved physical, mental and emotional change. What better way to accomplish this than with a fun, supportive, safe CrossFit community in Edmonton. Our focus is to provide quality programming and attentive coaching to each and every one of our members. CrossFit is universally scalable and this is why we believe that CrossFit truly is for everyone. You'll find your home in our Edmonton, CrossFit Gym. CrossFit is a Strength and Conditioning methodology that focuses on improving your General Physical Preparedness. CrossFit is defined as constantly varied, functional movements performed at a high intensity. In CrossFit, you will run, jump, row, pull, push, throw, lift and use your body in the way it was meant to be used. The workouts vary daily and we always push ourselves to find new limits. The entire CrossFit program is designed to do one thing–increase your fitness. Fitness is an increase in work capacity over broad times and modal domains. Or in other words, our ability to move more weight a further distance, faster. What does fitness mean to us? We teach movements that we all use in our everyday lives, mix it up in fun combinations challenging you to complete the movements as effectively and safely as possible. We feel everyone needs to increase and maintain their fitness level as we grow and age. Only then will we be able to do everything we love such as picking up our children or hiking in the Alps when we’re silver haired and enjoying retirement.